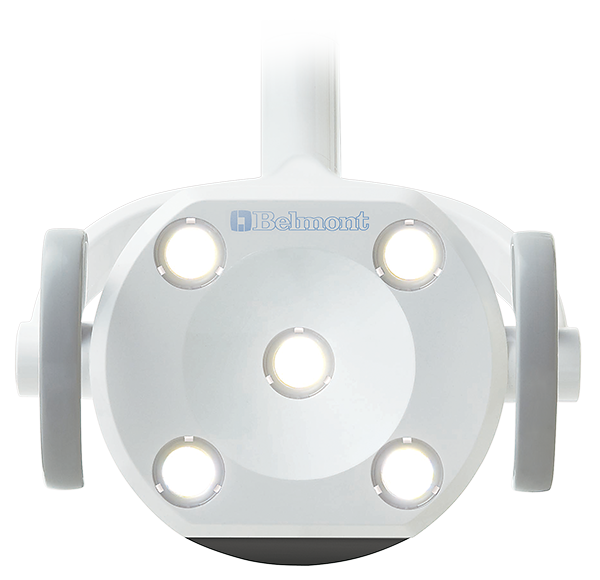 Belmont LED dental lights produce cool, natural light with high color rendering performance, for correct tooth shade matching and for differentiation of soft tissue. Stepless light intensity can be adjusted to fit operatory ambient light conditions. Bel-Halo LED touch less dental lights produce cool, 5000 K natural light for correct tooth shade matching and for differentiation of soft tissue. Long Life bulb expectancy of 40,000 hours, it is unlikely a replacement will ever be needed. Low power consumption and no heat generation add to long term savings and patient comfort. With 10 LED’s at 32,000 LUX, gives brightest illumination available, with virtually no shadowing. Touch-Less on/off switch and composite mode. A light weight head with fluid 3-axis light head positioning system. Optional patient mirror. From a design and functioning perspective, it doesn’t get better than Bel-Halo. The Clesta LED touch less operatory light perfectly blends the technology of the award winning Bel-Halo LED operatory light with the proven results. 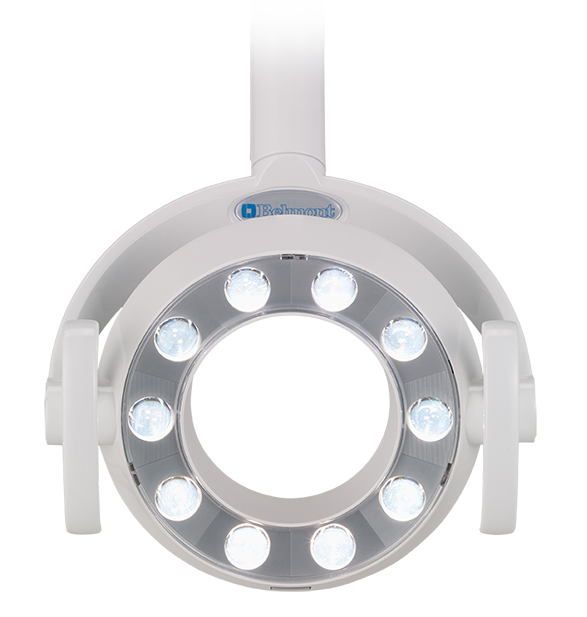 With 5 LED’s, provides 28,000 LUX, colour corrected light at 5000 K. Light weight with smooth triple axis head movement. Touch less switch and composite mode. Dimmer switch for the exact brightness you need. A lot of bang with your buck here without sacrificing performance.